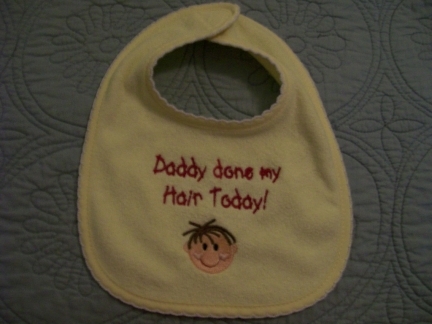 This design will look so cute on baby's bib or onesie! Perfect for those "bad hair days!" You choose boy or girl, bib or onesie & hair color! Text & bib color may vary.